EMSA – Childcare Division has issued a warning of unauthorized classes being offered in the county of Alameda and throughout the Bay Area. If you take an unauthorized course, you would be responsible for taking the course again and paying for the course again. View the EMSA warning here. 1. Check length of class. If a company is offering the pediatric CPR & First-aid class in less than 8 hours, it is a scam. It does not matter if you are renewing or if the class is your first time. State law requires the CPR and First-aid to be 8 hours long. You can view if a company has a current license with EMSA, by clicking here. 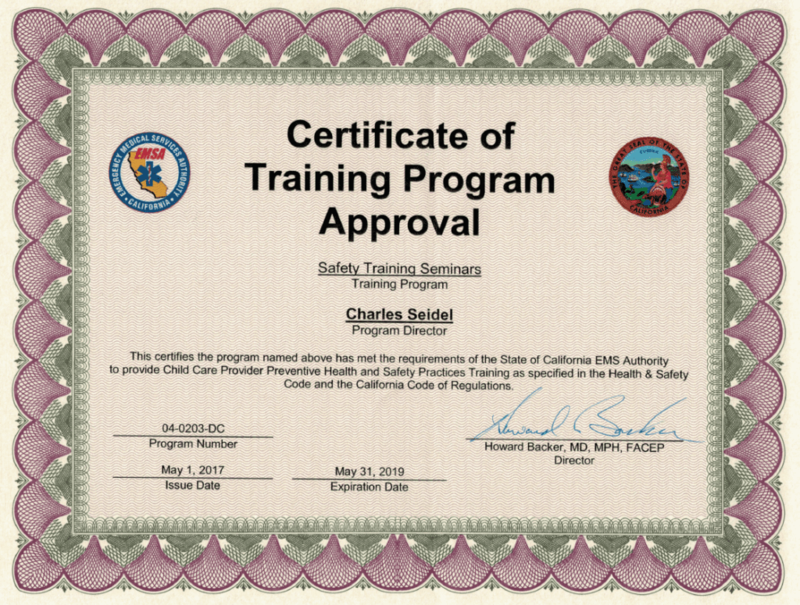 Safety Training Seminars is listed and our license number is 0204-DC. 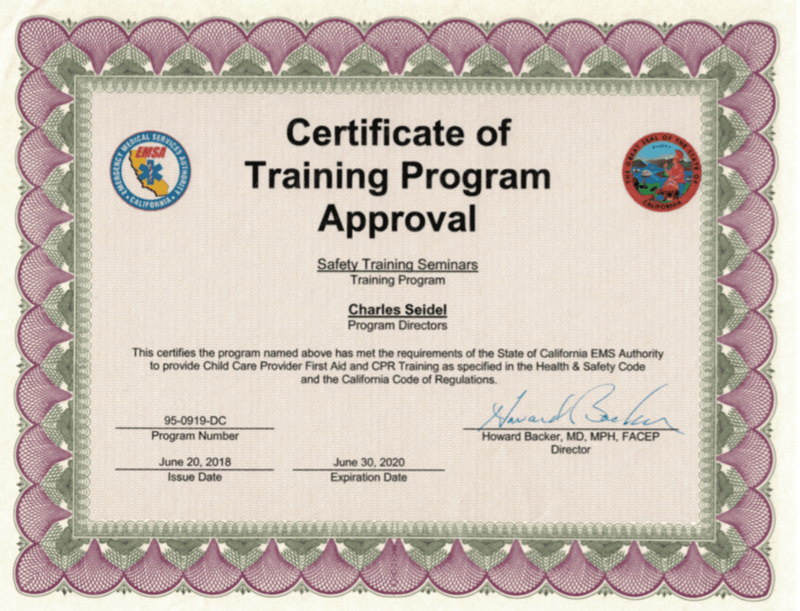 We will issue the official EMSA approved certification card on the day of the class. There are many CPR companies that mail the card out to students, which can take up to 2-3 weeks for you to receive.